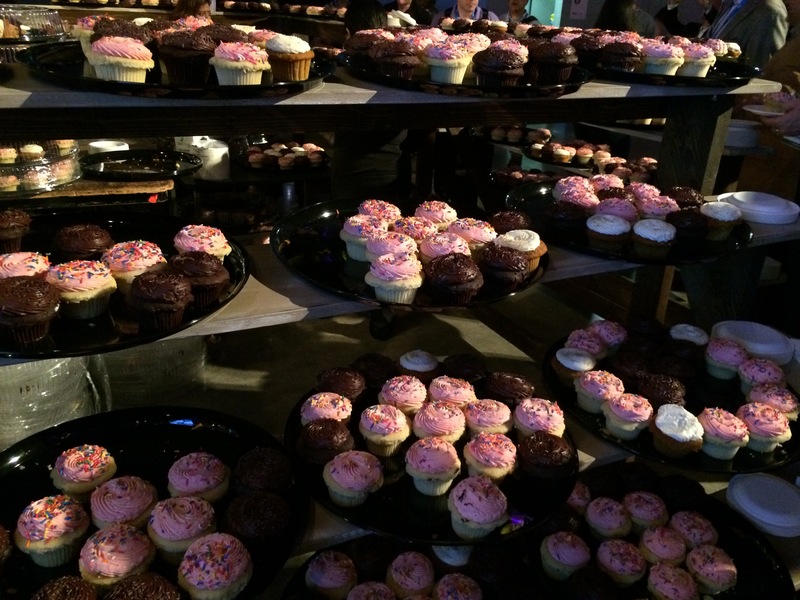 10 Reasons why DellWorld 2015 was Awesome!! 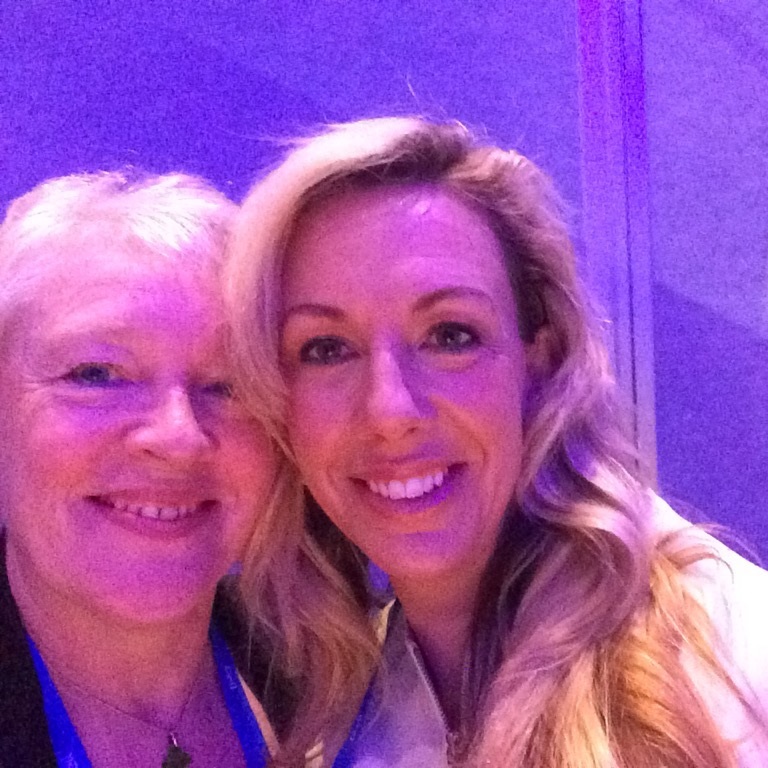 On the last morning of DellWorld 2015, Mona Charif, Dell’s VP of Marketing & Communications, asked me during the Influencers’ breakfast what was the one thing that had surprised me most over the course of my couple of days at DellWorld. It was such an easy question to answer. Without any hesitation I answered that it was the quality of the Dell team & the way that their CEO, Michael Dell, is adored by everyone inside & outside of their organisation. Meeting lots of other geeks (about 8,500 of them – but in friendly Austin, Texas (home of SXSW) instead of more impersonal Las Vegas which is where many of the other big US conferences take place). Austin is where the Dell mothership is based & it’s great to see the company putting so much back into the local economy. 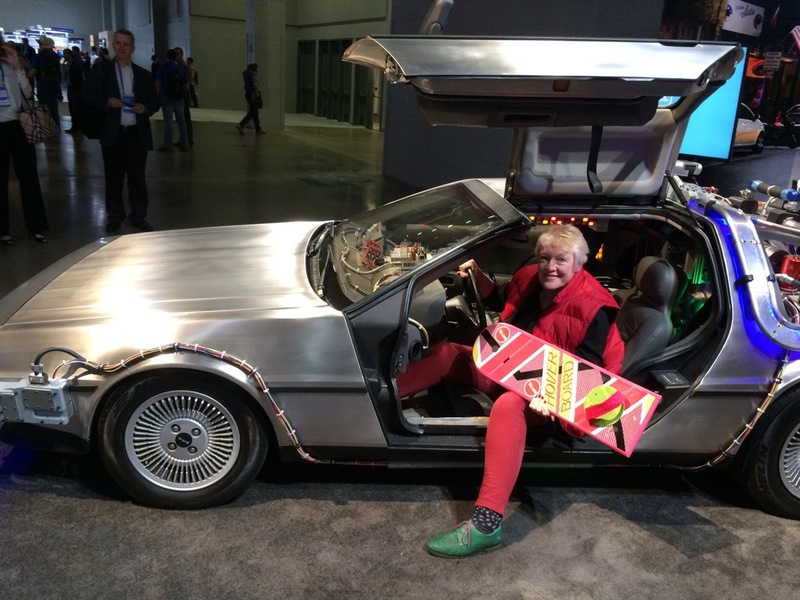 In a De Lorean on Back to the Future Day with a hover board – awesome! I also got to sit in & be photographed in a De Lorean car (made by an American in Belfast I might add!) on Back to the Future Day, with a hover board – how could anything be better than that! Awesome. 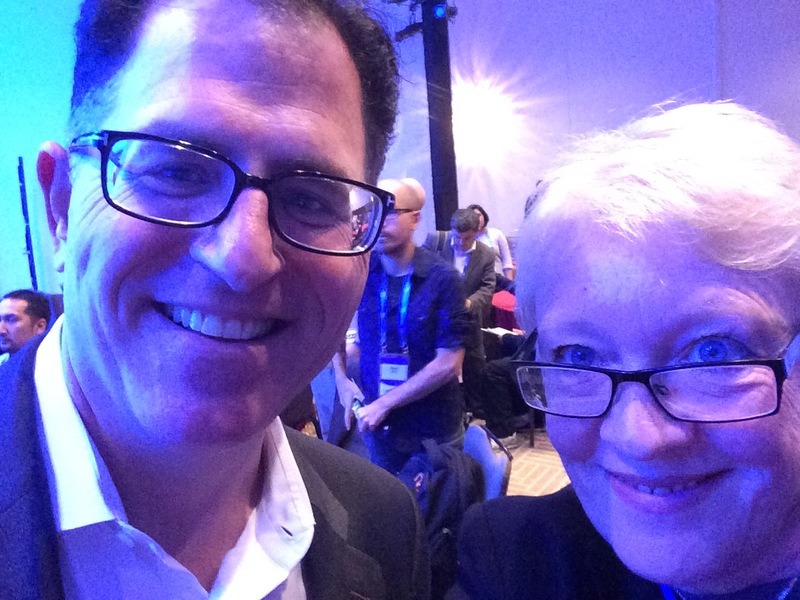 Meeting Dell CEO Michael Dell, telling him a story & getting to take a selfie with him as a result. What was the story? It was the one about how my friend & former colleague Tim Ramsdale persuaded our mutual employer to buy a Dell server in London in 1989, which wasn’t as easy at the time as you might think. What did Michael Dell say? – He said in that case you were one of my very first London customers… Sorta makes the rest of it worthwhile doesn’t it…Michael Dell doesn’t really do selfies but after that story it was quite easy – & who can blame him. In my humble opinion & as a person who has started a number of companies in my time I was humbled to meet a man who started his business at the age of 19 & who is still heading it up at 50 – and not just heading it up but is clearly everything from commander in chief to best joker on the block. Meeting Dell’s Entrepreneur in Residence, Elizabeth Gore, & finding out we have a lot in common – although Elizabeth is both far more glamorous & far more diplomatic than I am. We decided that both of us have a “licence to meddle” which is really quite nice. Here’s the link to Elizabeth’s Huffington Post piece about what an Entrepreneur in Residence actually is, in case you’re interested – and yes – she is awesome. In a strange turn of fate I’m looking forward to meeting Elizabeth’s Dell predecessor Ingrid Vanderveldt at Digital Week Ireland in West Cork next week – it really is a small geek world. Observing Americans at play at the John Mayer concert & jamboree on Night 1 of the conference – that was so much fun. Thank goodness I ignored my long suffering mother in law & didn’t bother packing a dress… Last year’s entertainment was Duran Duran – I’m saying nothing. Getting up close & personal with the Dell team – universally & consistently fabulous & what a great way to showcase them – put them in front of 8,500 members of your community, customers & partners for 3 days. 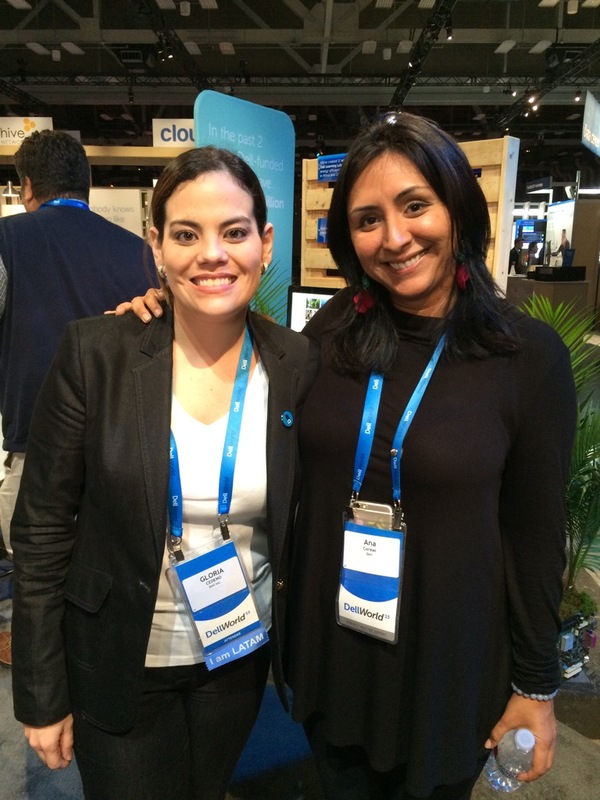 Here’s a pic of two of my favourites – Gloria Cedeno & Ana Coreas, both are from Panama & both work in the marketing & comms team at Dell, Ana in Austin & Gloria back in Panama as part of the LATAM team. Finding out about all the stuff that Dell does around the outside of core business – I signed up for the entrepreneurship, women in tech & edtech streams at DellWorld but when there I heard about so much more that the CEO & company does from Michael Dell’s work as the United Nation Foundation’s first Global Advocate for Entrepreneurship to the work being done with SMEs. Some of it could be called CSR but again there’s so much more. Also – I stayed in Austin for 3 days after DellWorld & everyone I talked to in town from taxi drivers to bar owners (you can immediately see how I roll!) was full of praise for their local big employer. Attending the Women in IT lunch with 240 other women and hearing from Carey Lohrenz about her experience as a woman in a traditionally male world – she’s a former fighter pilot in the US Navy. It was really special to spend time with so many other women in IT & the air was buzzing with conversations, and quite a lot of whooping in response to some of Carey’s very amusing comments. Check her out – she’s awesome. I’ve been a Dell customer for the last 26 years so I really enjoyed being at DellWorld 2015 & learning more about how Dell develops products and partnerships. The 3 days were informative, interesting & fun. If you get a chance to attend DellWorld 2016 my advice is Go – you won’t regret it. 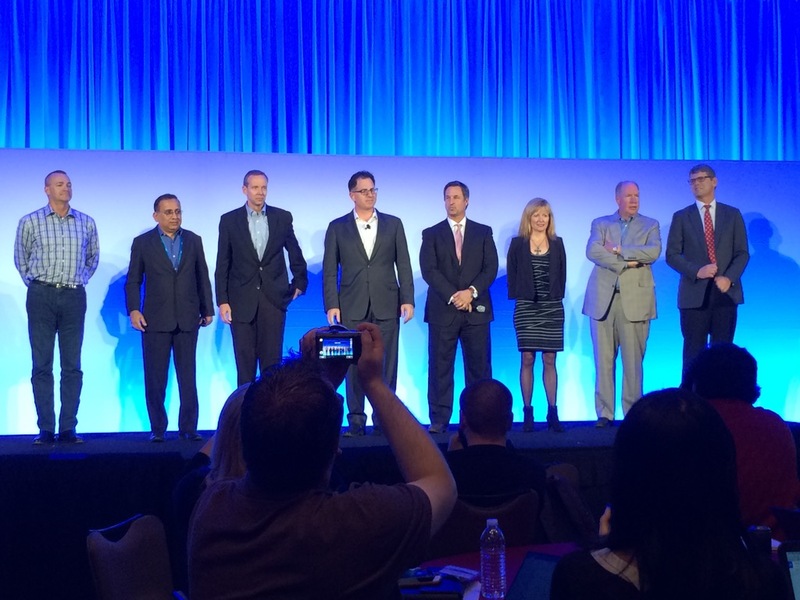 Disclaimer: I attended DellWorld 2015 as a guest of Dell & Dell paid for my travel & accommodation. All of the above views, however, are my own. Yesterday I joined the Research & Educational Network Norge e-learning Showday in Oslo to deliver a 30 minute talk on e-learning trends. 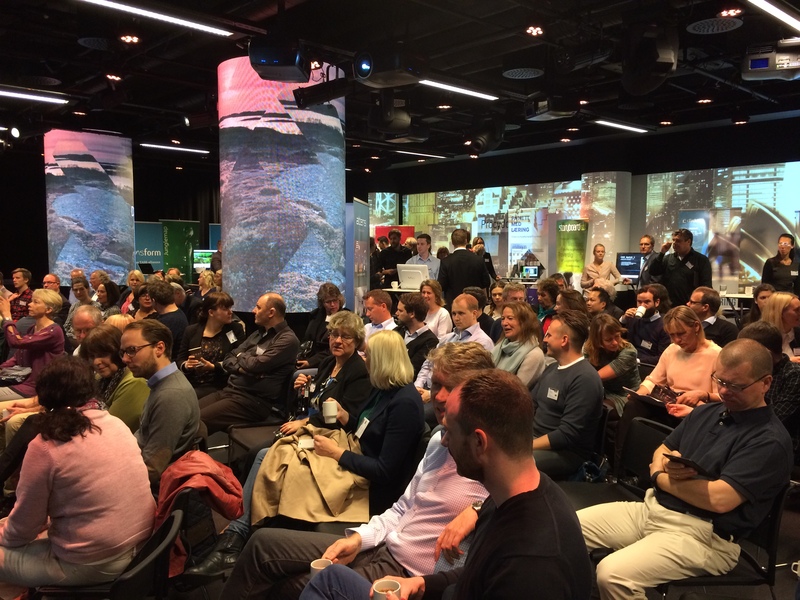 The event was organised by Innovasjon Norge and hosted by DNB bank. Yes – a bank. But a bank unlike any other I’ve ever been in. It’s in the centre of Oslo and it’s a new banking headquarter housing over 4,000 employees who’ve been brought together under a single roof from 17 previous locations. But wait – there’s more. 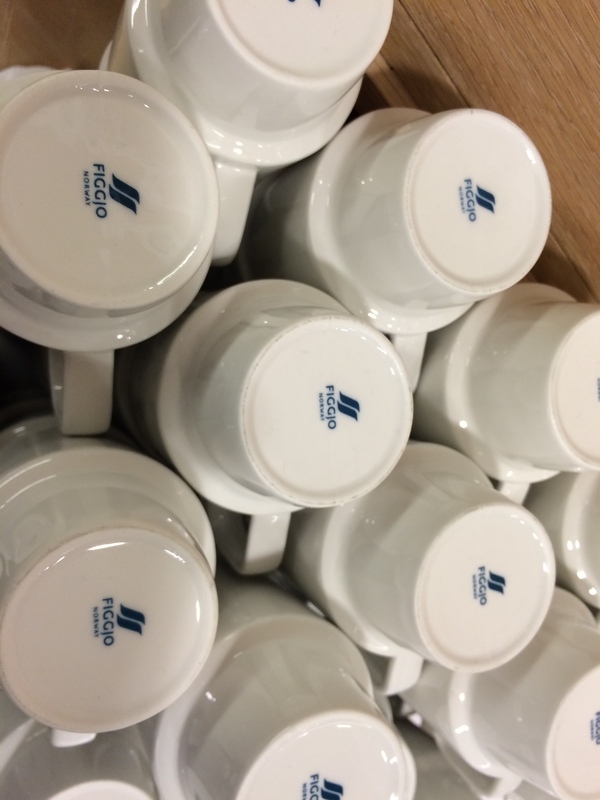 In Norway citizens embrace their banks and they also seem to like their banking colleagues. Banks are seen as a positive part of the economy and they do useful things. 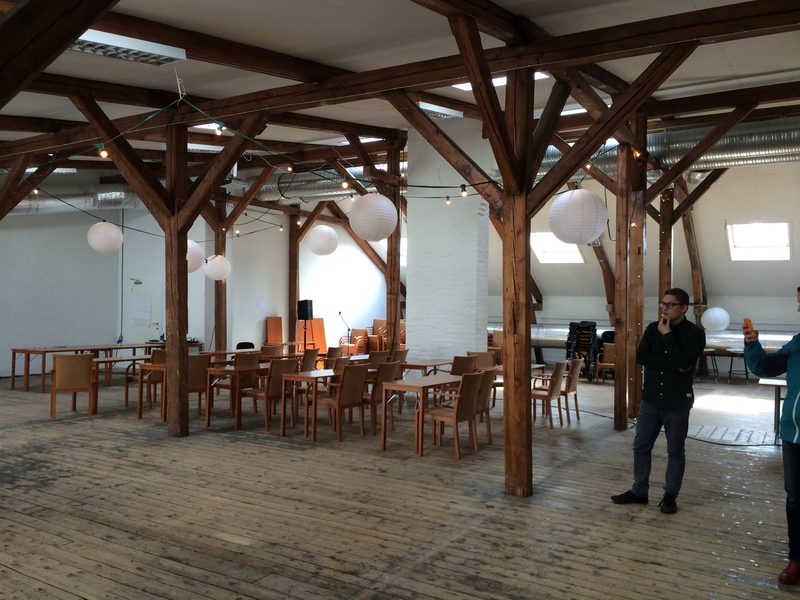 The DNB HQ in Oslo feels more like a high end accelerator. One that’s been thoughtfully designed & then kitted out with gorgeous furniture and sculptures and artworks. A big bright café in the centre where employees and visitors congregate to chat and have coffee or lunch. Cool Scandinavian egg chairs, acres of blond wood and even hip but matter of fact Figgjo Flint crockery. Some whimsy is provided in the form of a small mirrored room containing an installation from a Japanese artist. Our host, Trond Markussen, kindly closed Ollie Gardener & I in there & waited for us patiently outside. 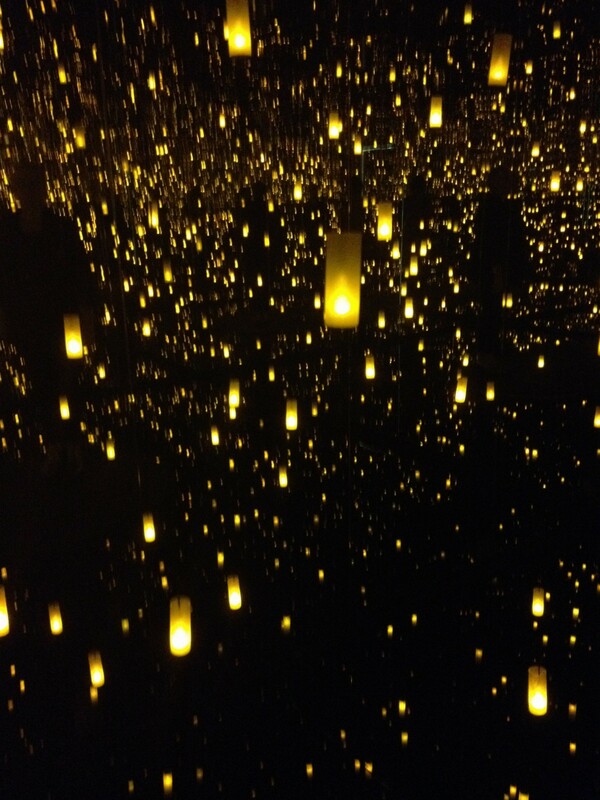 We stood in hushed anticipation in the darkness and oohed and aahed as thousands of electric candles lit up. The conference was affordable to attend (about £100). It started at 8am and finished about 2.30pm (Norway has an early start culture with many people beginning their working day at 7am). The programme was a mix of keynotes from the sector, including mine, and 5 minute pitches from the 20 or so companies with exhibition stands in the room. Everything was completely relevant to the theme of the day and we finished up with a quick telephone vote from everyone in the room for their favourite pitch – no judges or elaborate application processes required. Our hosts announced the 3 winning companies and presented them each with a bottle of wine (a valued prize in Norway given the cost of alcohol!) The day managed to be both educational and commercial and the 180 attendees stayed in the same lecture theatre all day. No comings & goings. No-one left early or rushed off after they’d spoken. The exhibition stands were around the perimeter of the lecture theatre and we had lots and lots of short networking breaks. Everyone was chatting to each other and it was hard to tell who was buying and who was selling. People clearly enjoyed catching up and chatting with colleagues they don’t often see in real life – Norway’s a big and sparsely populated country (it’s roughly the same size as Italy but with a population smaller than Scotland). The big corporates (IKT Norway, Statoil, Evry) stopped by with the startups and SMEs and it all felt collaborative rather than competitive. 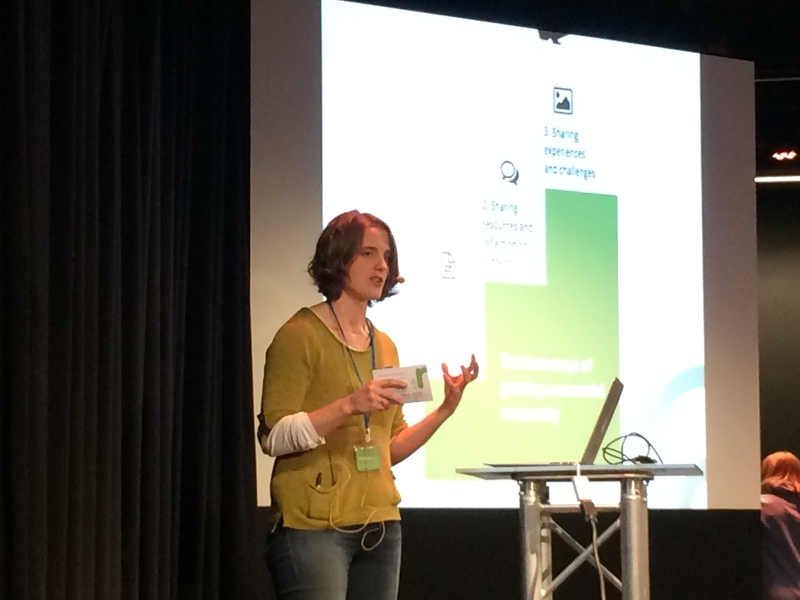 I was there with Ollie Gardener of Noddlepod, a social learning platform that I recently angel invested in. It’s like a Slack for learning communities. 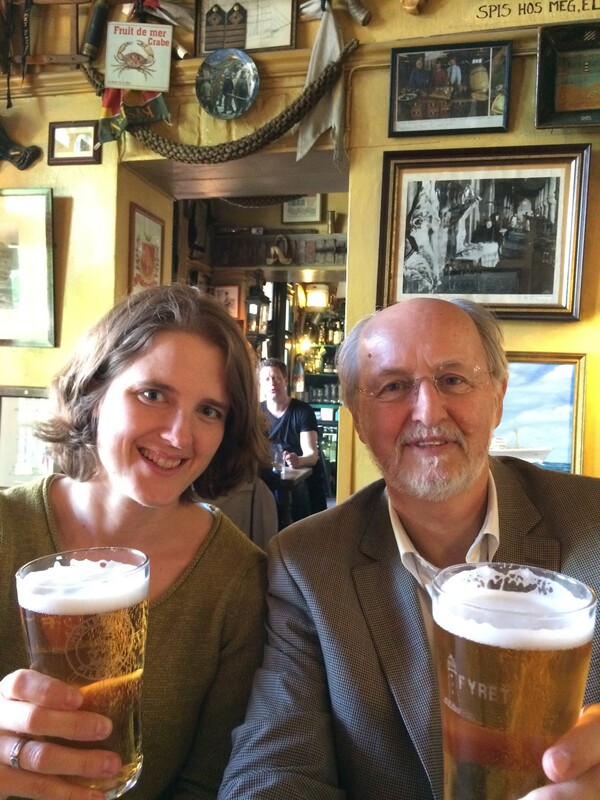 Another member of the Noddlepod team, Charles Jennings, was also in town. Charles was addressing a group of senior HR Managers about 70/20/10 in a different event two buildings away. Much more usage of mobile and social plus the rise of niche Communities of Practice (check out Learning Pool’s new open source authoring tool Adapt to create beautiful mobile ready content, take a look at Noddlepod if you’re a corporate university or business school, have another go with Knowledge Hub if you work in or around the UK public sector). 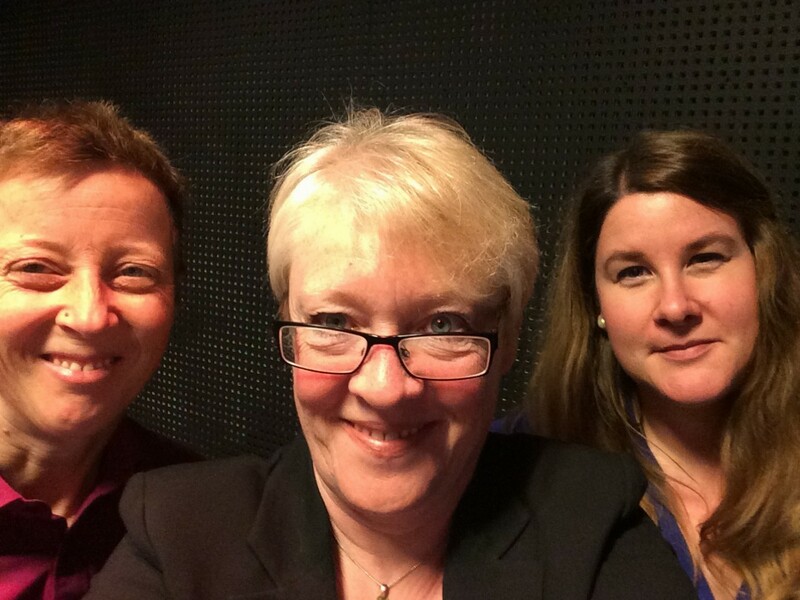 With the wonderful women who translated my rambling first from English to Norwegian and then to sign language – wow! I nearly didn’t go on stage at all because the two very lovely women who were doing sign language interpretation of all the presentations on the day warned me that I’d better have prepared a well structured and clear talk…I kept them each in view in the corner of my right eye and as long as I could see their hands moving I knew I was doing ok. Thanks to Trond Markussen of DNB and Lisbeth Smestad of Innovasjon Norge for inviting me to speak & for bringing together such a great bunch of people & projects for a day. Thanks also to those lovely people who responded to my Twitter call re their favourite future learning trends – Andrew Jacobs, Denise Hudson-Lawson, Megan Peppin, Mark Smitham, Julie Dodd, Matt Walton, Mary Loftus, Joyce Seitzinger and last but not least, Steve Wheeler. Thank you all. If anyone has any comments to make about near term future predictions on learning trends or indeed about Norway then I’d be delighted to receive them so please do comment below.